Mansfield Town v Port Vale. 'Craig Davies gets a cross in to the 'Vale penalty box. 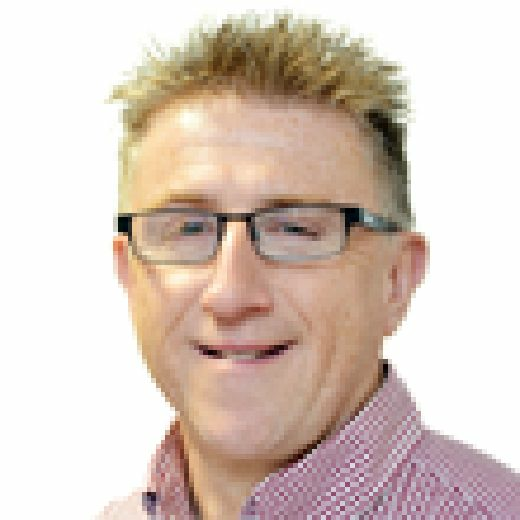 No matter what happens at Charlton Athletic tomorrow, Mansfield Town will head for rivals Lincoln on Saturday with a spring in their step and a belief they can upset the Imps’ applecart. 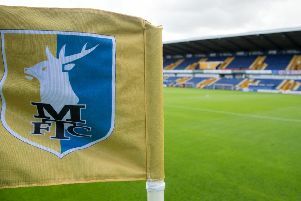 Saturday’s hard-earned 1-0 home win over Port Vale again showed Stags’ defensive solidity and how to win a game when you are not putting your chances away. The fact that keeper Bobby Olejnik did not have a save to make from an opponent speaks volumes of how well they defended. Lincoln away will be one of Mansfield’s biggest tests of the season so far with the Imps in such good form. But almost 1,700 Stags fans roaring them on, the players will be lifted and able to find that extra few per cent needed. Players have been saying a lot in recent weeks about how much the fans’ support is helping them, especially at home. Sadly that support did not extend as far as Craig Davies on Saturday, who took quite a lot of stick during his 54 minutes on the pitch. He will admit himself he wasn’t having the best of afternoons as he tries to regain his match fitness and rhythm after being out injured. Davies certainly showed signs of his class before that injury and a quick look down the clubs he has served shows his pedigree. But as a section of supporters shouted at him every time he lost the ball on Saturday, cheered ironically when he won a header, sang for Danny Rose to come on and then cheered when the switch was made, it’s hardly going to motivate anyone to do better at work. A few weeks back it was Tyler Walker who was taking the brunt of the criticism until he responded with five goals in three games. That seemed to take the heat off him and now Davies is the man in the rifle sight. It’s a shame that anyone has to be in the firing line when things are going so well and all he is trying to do is get back to his best again. But he has been in the game long enough to know the fickleness of football and that the best way he can get fans off his back is by hitting the back of the net. But, even if he does, I still believe Stags need one more quality frontman in January just in case injuries or suspensions start to bite. Ex-Stags boss Billy Dearden once told me you can’t have too many strikers at a club. For me, three plus an inexperienced youngster is not enough.